The Church continued to thrive during the peaceful reign of Emperor Constantine the Great. 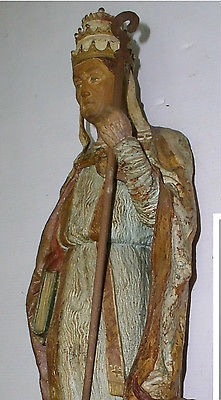 Twenty-one days after the death of Pope St. Miltiades, Sylvester, a Roman, was chosen to lead the Church. He had been ordained priest by Marcellinus and had endured the cruel persecution of Diocletian. Sylvester’s papacy is surrounded with as much legend as fact, making this pope a colorful figure, indeed. One such myth has the great Constantine afflicted with leprosy. Despite the efforts of his magicians and doctors, the emperor remained uncured until, in a vision, St. Peter and St. Paul appeared and told him to go to Silvester; that he alone could cure him. The emperor did so, and Silvester’s solution was baptism. Constantine agreed to the rite, and once he had been submerged in the holy waters, the dread disease vanished. The emperor’s gratitude was unequaled. He was said to have erected the Golden Basilica beside the Lateran palace which, according to belief, held such glorious treasures as the Tables of the Law, the original Ark of the Covenant, and the most famous of all relics, the heads of the apostles Peter and Paul. 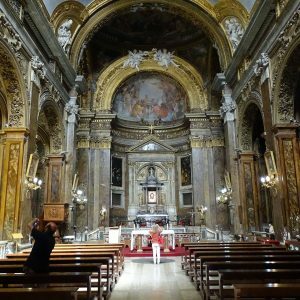 Silvester did, in fact, witness the erection of the basilica of St. John Lateran as well as the first basilica of St. Peter, which stood atop the humble shrine which marked the grave of that apostle on Vatican Hill. It is likely as well, that Silvester ordered the first list of Roman martyrs to be drawn up. A most momentous event, however, marked Silvester’s pontificate–the First Ecumenical Council, or the voice of the teaching Church. In Alexandria the priest Arius had begun teaching the heresy that the Son was not one with the Father. This heresy quickly spread throughout the East until a council of bishops from all parts of the empire was called to study the issue. Emperor Constantine himself attended the meeting held in Nicaea in the summer of 326. 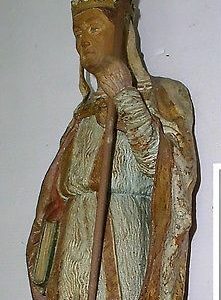 Although Pope Silvester sent his representatives, he declined to attend, on the grounds that old age prevented his departure. He was kept abreast of the developing controversy and was informed of the council’s decision. The famous Nicene Creed, which proclaimed that Jesus is true God of true God consubstantial with the Father, was drawn up, and Arius was condemned by this First Ecumenical Council. Silvester lived long enough to see his great city of Rome take on the outer adornments of a Christian city, grateful to the overwhelming generosity of one emperor, Constantine the Great. 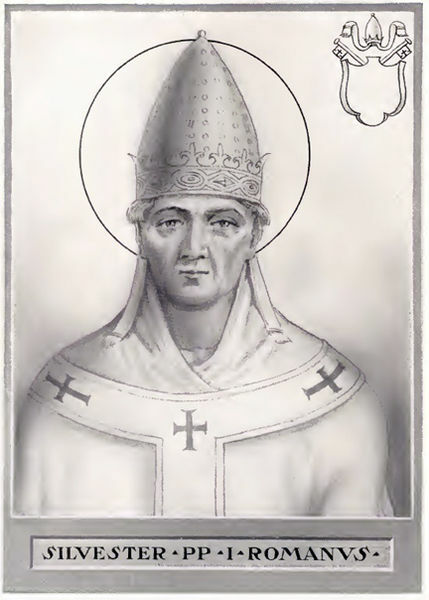 Pope Silvester died on December 31, 335, and was buried in a church which he himself had built in the cemetery of Priscilla. 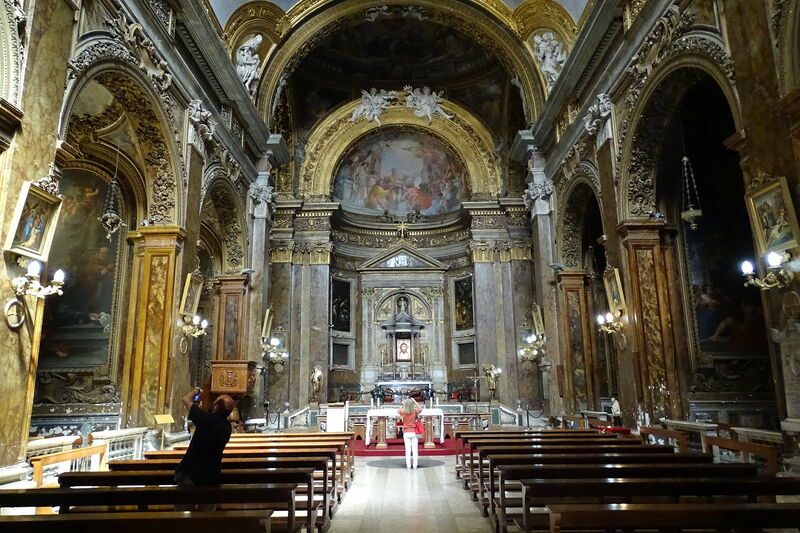 His relics were transferred in 762 by Pope St. Paul I to the Church of San Silvestro in Capite, now the national church of English Catholics in Rome. The Church celebrates his feast on December 31.